So as bit of a disclaimer, I would like to admit I’m not the biggest fan of poetry. In part, I believe this is because of how it was forced down my throat in school. As a result, I never really explored all it had to offer and I’m just now starting to slowly see what else is out there. 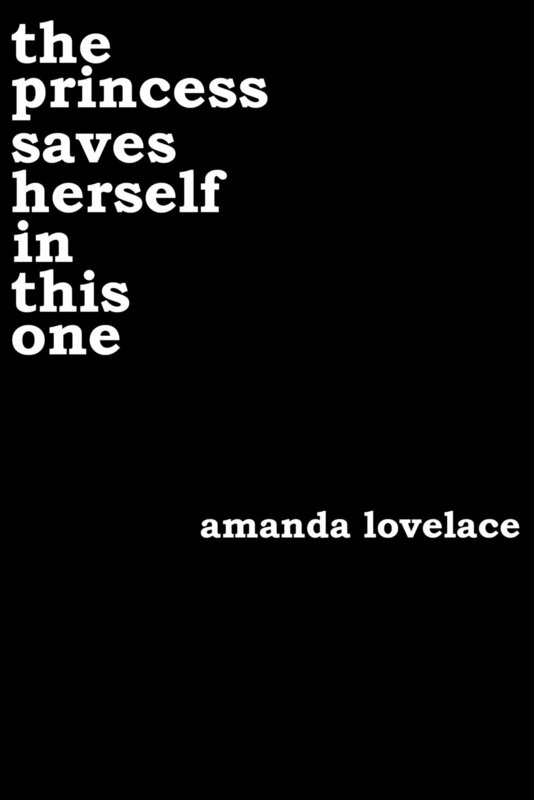 I first started hearing great things about the princess saves herself in this one when Amanda Lovelace self-published this book of poetry last year. Even though I do not read poetry often, I put this poetry collection in my TBR pile right away because of the messages and themes presented in it. I picked up the princess saves herself in this one and could not put it down. The great thing about poetry is how short it actually is. Due to the length of the poems, I flew through the book. The poems were short but powerful, and I couldn’t help but feel a connection, even though I personally had not gone through what the author has. It was a very emotional and empowering read, and there were even some parts were I had tears in my eyes. The collection is spilt into four parts: the princess, the damsel, the queen, and you. The first three parts all focus on the author and her own life journey and struggle while the last part is addressed to the reader. The last part is so universal that many will be able to connect to the different poems woven into this last section. Overall, the princess saves herself in this one is a powerful read that even non-fans of poetry will enjoy. Definitely a must read for teenage girls!